The charcoal grill is truly an American classic. It is a mark of summertime and is extremely versatile in its cooking ability. Charcoal grills aren’t as simple to operate as their more technologically advanced contemporary, the gas grill. Knowing how to properly load and heat charcoal is essential to getting the most out of your grill. However, cooking with charcoal is an art in itself, one that is a badge of honor in the American experience. Charcoal grills are available in many different designs, each with their own unique qualities and benefits. Grills are available for the weekend patio cook, like the classic round bowl and dome design, which has great heating potential with plenty of surface to cook. But the consummate grill master may want to step up to a bigger model that can handle a wider range of cooking needs including smoking. For many Americans, a char-grilled burger is a summertime favorite. Charcoal grills have been popular for years because they are inexpensive and deliver a flavor that is delicious. Charcoal grills certainly have advantages over gas grills and offer sizes and styles to fit every lifestyle. The number one reason grill enthusiasts are so passionate about charcoal grills is that classic, char-grilled taste. Charcoal grills are also much more affordable than gas grills, making it possible for anyone to afford the deliciousness of freshly grilled food. Charcoal grills are considered safer than gas grills because some charcoal grills feature an electric starter. That means there is very little risk of an open flame getting out of control, which is important when grilling around trees and other structures. There are nearly as many sizes and varieties of charcoal grills as there are foods to cook on them. Some charcoal grills are small and transportable, making them great for camping or apartment living while other charcoal grills have huge cooking surfaces to feed large groups. Barbecue smokers are generally comparable in price to regular charcoal grills and offer the advantage of smoking meats. Stainless steel charcoal grills are stylish and known for their superb heat retention. Charcoal grills that feature a rotisserie burner are nice if that type of cooking is popular in your home. You can even buy disposable charcoal grills that are great for weekend getaways. 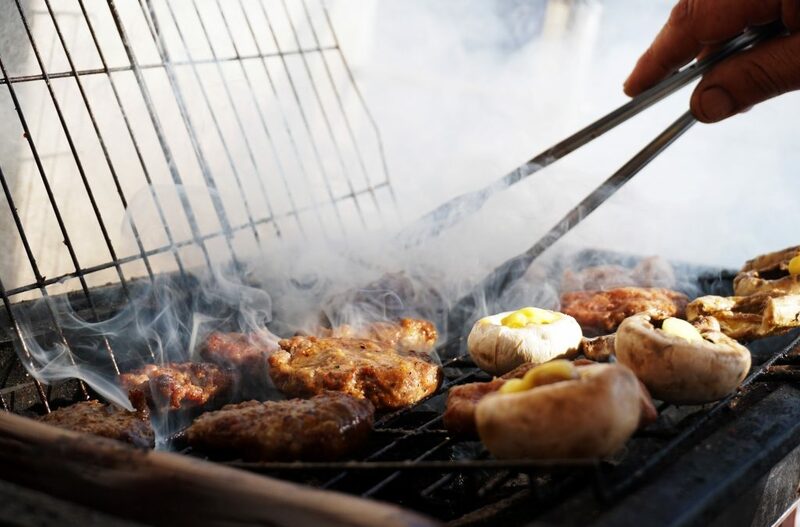 No matter how many bells and whistles are added to fancy gas grills, they’ll never be able to beat the familiar smells and mouthwatering flavors you get from a classic charcoal grill. If you’re looking for a convenient and affordable way to capture that famous char-grilled taste, a charcoal grill is the right choice for you. Definitely the taste of a meal made on a charcoal grill is much better than one made on a gas grill. At the end there are different opinions.